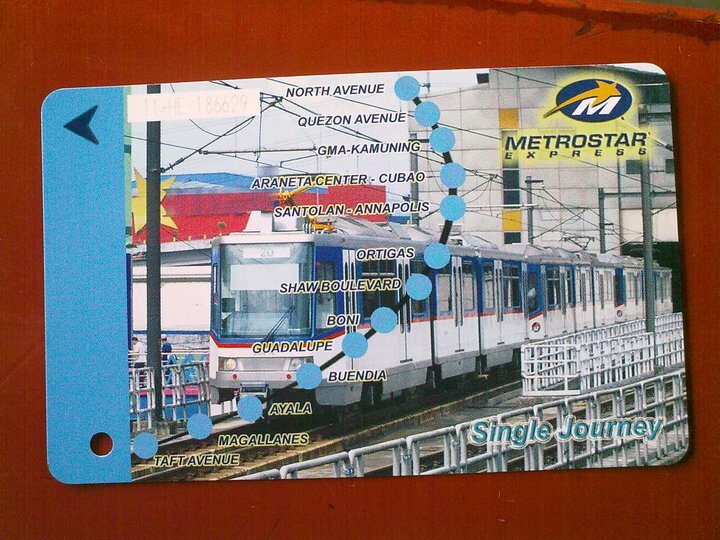 New MRT Single Journey card. (0_0) - Hello! Welcome to my blog! MRT riders, here's another bad news aside from the super crowded, unfriendly guard, moody cashiers, dirty CRs, old feel of the facility. Here's the NEW design of the new 'Single Journey' ticket for the MRT. Let me know what you think. . . . . well? What the hell is that design, right??! I mean like was this even thought of? the picture is not very flattering if they wanted to project a sense of errrr what ever that is.. and matching it with the map? urgh... Together with the not so good of a match of the Blue, not so good. It is all cluttered and the layout is just plain bad. I'm sorry.. Now, I do fear what will they put in the Stored Value ticket. Maybe they would just change the color. But i guess as others may have notice, this is better in terms of the 'no politician' on the ticket. They kinda copied the Line 1 and Line 2 ticket design, So what's at the back? email if you happen to have a copy of it. And if i am not mistaken, these tickets with this particular design was released last week. My two cents? They could have asked students, or artists to design the card keeping the people involved in it. I think that would be waaaaay better than this one.